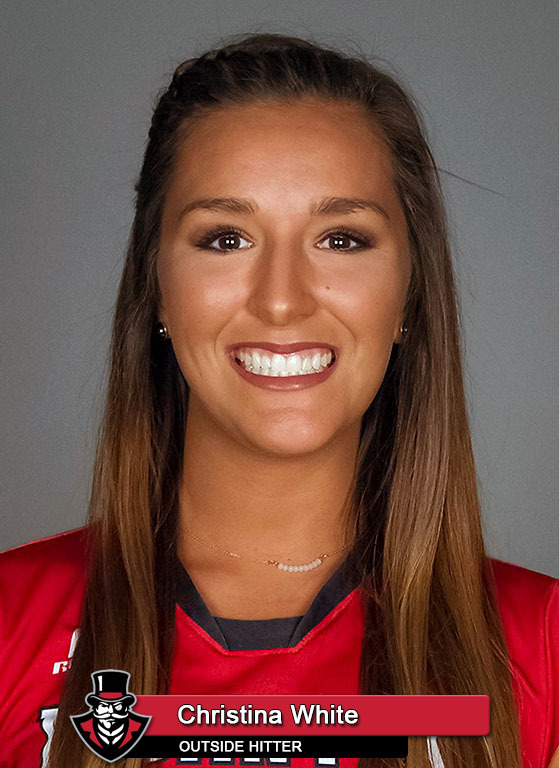 Clarksville, TN – Sophomore Kaylee Taff posted 10 kills to lead Austin Peay State University’s volleyball team to a three-set sweep (25-14, 25-20, 25-11) of Alabama A&M in Tuesday nonconference action at the Dunn Center. Austin Peay (19-8) set the tone in the opening set, posting an impressive 20 kills at a .436 attack percentage and winning wire-to-wire. Junior Ashley Slay finished with five kills in that first set while Taff had four kills. Head coach Taylor Mott had the freedom to make a few lineup changes for the second set. Alabama A&M (7-18) took advantage of early jitters by the new faces to grab the early lead, 6-2. Austin Peay used five consecutive points to tie the set and build a 14-12 lead. The teams traded points until the Govs scored four straight late in the set to claim a 24-19 lead en route to the win. Senior Sammie Ebright dominated the third set from the service line. She served up a 12-0 run, including four service aces, to blow the set open. The Govs maintained that lead through the match’s end. Taff’s 10-kill outing came with a .500 attack percentage. Ebright had eight kills, a .636 attack percentage, four service aces and 11 digs to also lead the Govs. Sophomore Christina White chipped in eight kills as well. Austin Peay finished the match with 50 kills and a season-best .421 attack percentage. The Govs also posted a defensive victory with a 44-30 margin in digs. Austin Peay also had 11 service aces – seven in the third set. Ashundria McNeal led Alabama A&M with 10 kills. The Bulldogs finished the match with 25 kills and were held to a .190 attack percentage. Taff’s 10-kill performance was her fourth consecutive – and fifth and last six outings – double-digit kill total. 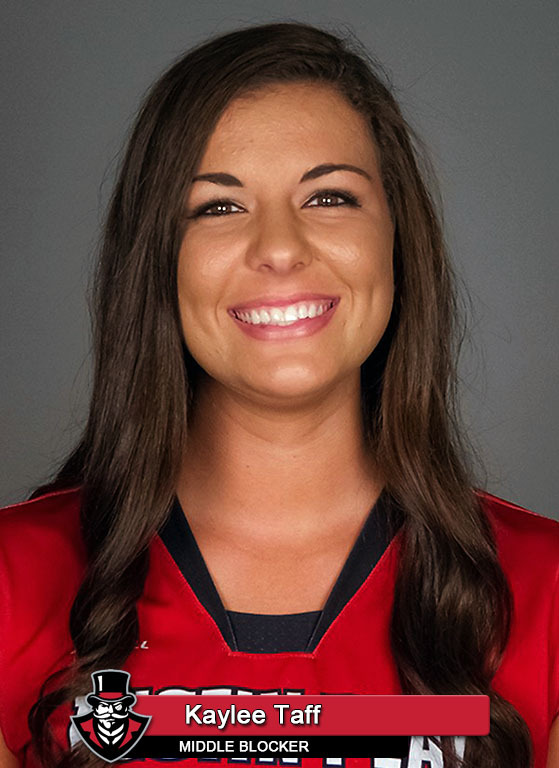 During the four-match streak she has posted a .477 attack percentage while averaging 2.94 kills per set. 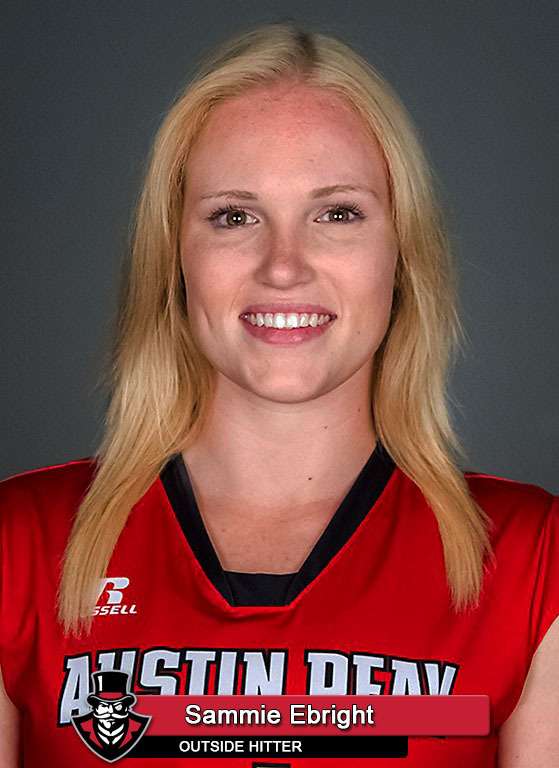 Austin Peay’s .421 attack percentage was its best mark under the current 25-point scoring system and the fifth-best mark in program history. The Govs finished with 50 kills in the contest, 20 in the first set alone. The Governors 11 service aces against Alabama A&M – seven of those in the third set – marked the fourth time this season the Govs have notched double-digit service aces in a contest. The Governors now finish the regular season with six straight Ohio Valley Conference matches. 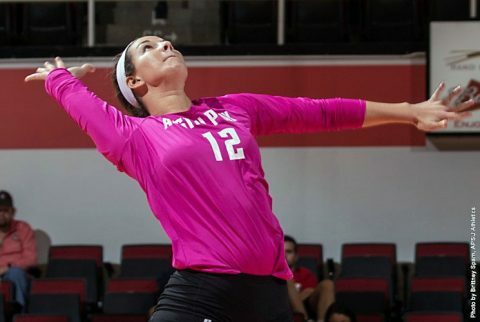 Austin Peay begins its final two-match road trip when it faces UT Martin in a 6:00pm, Friday contest in Martin.